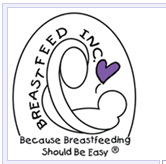 • Breastfeeding is easy and convenient. No preparation, warming or sterilization of milk or equipment is necessary. No last minute trips to the store are ever needed. • The first milk the baby receives is called colostrum. Colostrum, which plays a major role in passing on immune properties to the infant, is high in protein and carbohydrates. • Breastfed infants have fewer incidences of illnesses such as colds, diarrhea, or ear infections, and fewer hospital admissions. • Breastfed infants are less likely to develop into overweight children or adults in later life. Babies can nurse until they are full, thus learning to control their intake of food according to hunger, rather than being encouraged to take a pre-determined amount. 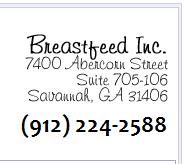 • Breastfeeding enhances bonding and encourages a close relationship between mother and baby. • Human milk has a lower iron content than formula but the iron is absorbed more efficiently be the infant, partially due to vitamin C levels in human milk. • Breastfeeding contributes to proper jaw and mouth development because of the way the breast is suckled and the strong, repeated sucking at the breast. Breastfed infants tend to have fewer incidences of severe dental problems and are less likely to need orthodontic corrections. • Breastfed babies are less apt to have allergies because mother’s milk contains antibodies which prevent the absorption of allergy-provoking proteins.